This is a tribute to Clive Owen. It includes images, a movie trailer and factual information concerning Clive Owen's private life and career. 1.Clive Owen is an English actor born in 1964. 2. He stands at 6' 2½" (1.89 m). 3. Starting from the beginning of the 21st century, he became one of the most sought-after action stars in Hollywood. 4. He met his wife while they were both in the play Romeo and Juliet, playing the title roles. 5. He has 2 daughters. 6. His male co-stars include Michael Caine (Children of Men), Denzel Washington (The Inside Man), Bruce Willis (Sin City), Geoffrey Rush (Elizabeth The Golden Age) and Jude Law (Closer). 7. His female co-stars include Jennifer Aniston (Derailed), Cate Blanchett (Elizabeth The Golden Age), Angelina Jolie (Beyond Borders), Monica Belluci (Shoot ‘Em Up), Natalie Portman Closer), Julia Roberts (Closer, Duplicity), Naomi Watts (The International), Keira Knightley (King Arthur), Julianne Moore (Children of Men), Jodie Foster (Inside Man) and Jessica Alba (Sin City). 8. 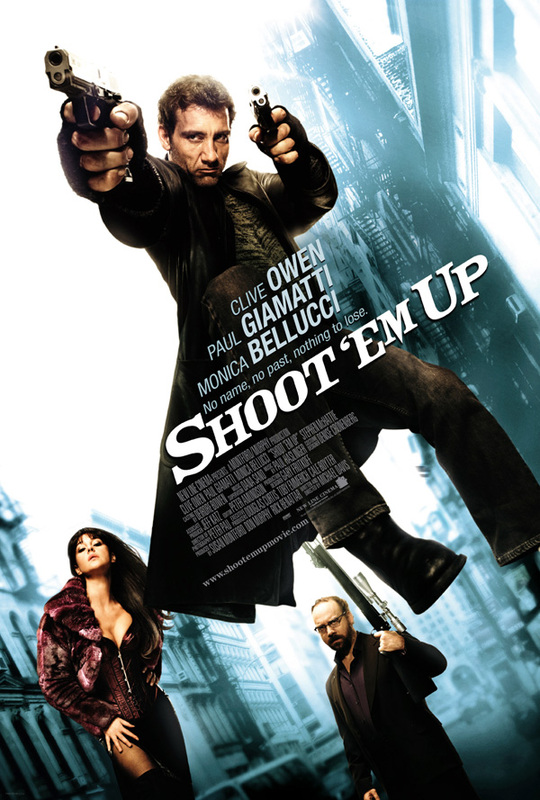 When Conan O’ Brien asked him if he’d ever consider playing in a comedy as opposed to the serious,intense roles he is taking and Clive replied that he considers Shoot ‘Em Up as a form of comedy. 9. The hard rock soundtrack of Shoot ‘Em Up features Nirvana, Motorhead, AC/DC, Wolfmother, Motley Crue and Iggy Pop. 10. Clive Owen has two movies in IMDB’s top 250 list: drama/sci-fi/adventure Children of Men and Sin City. Children of Men is rated 8.1 and Sin City is at 8.3. 11. His most critically acclaimed role to date is in Closer. He won a Golden Globe, a Sierra Award and a Bafta award for Best Supporting Actor. He was also nominated for Best Supporting Actor Oscar. 12. His most controversial role is in the 1991 movie Close My Eyes where he plays a man falling in love and having an affair with his own sister. 13. His young daughters aren’t usually allowed to see his movies because of their R ratings. 14. He has joked that he is definitely not considered to be a cool guy at home, by his kids. 15. He says that it was love at first sight with his wife. 16. He and his wife Sarah-Jane Fenton have been married since 1995. 17. He has played in a series of BMW commercials-set of ads that are shot as short films and he plays The Driver. 18. His movie The Boys Are Back takes place and was shot in Australia. He took his family to the set. 19. Owen has played in 2 period films: Elizabeth The Golden Age and King Arthur. 20. Among his on-screen love interests, Keira Knightley has been the one with the biggest age gap. She was born in 1985. The second biggest gap is with Natalie Portman. She was born in 1981. 21. So far he hasn’t played in a horror film, a musical or a romantic comedy.